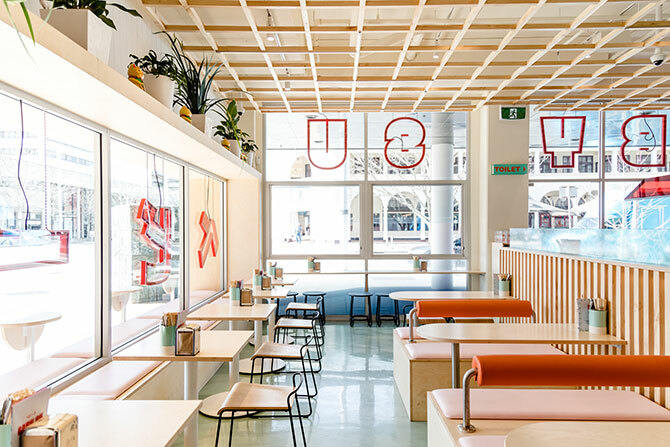 A second collaboration with BrandWorks sees the opening of Baby Su, a quick-service restaurant venue in the heart of Canberra. Bold and bright, Beclau took care of all timber joinery works including the lattice ceiling grid. A second collaboration with BrandWorks sees the opening of Baby Su, a quick-service restaurant venue in the heart of Canberra. 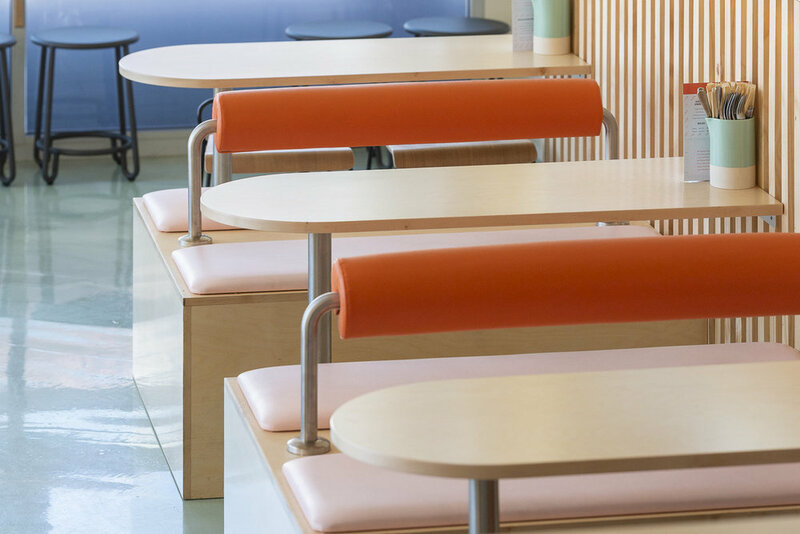 Bold and bright, Beclau took care of all timber joinery works including the lattice ceiling grid ,booth seating, waiters stations, tables and benchtops.